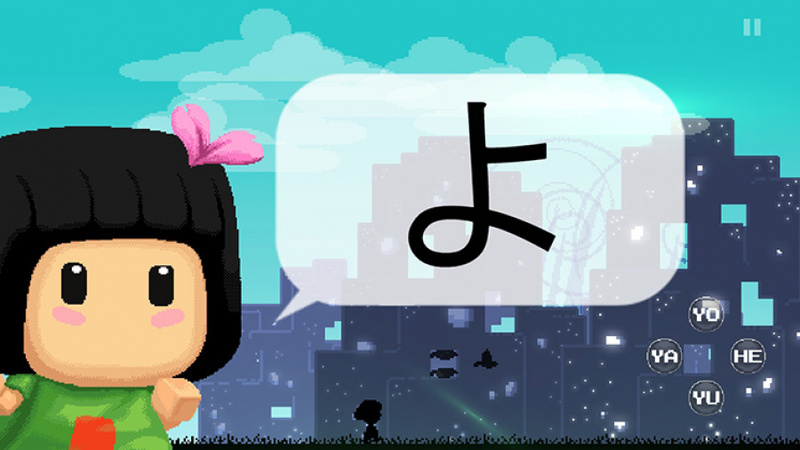 If you spend much time playing games, watching anime, or reading manga, Japanese is certainly an appealing second language option, and if you want to try your hand at learning, Hiragana Pixel Party — originally a mobile title — aims to kickstart that process. While it won’t help you with words or phrases, it will teach you how to read two of Japanese’s several scripts, and in that regard it’s a real success. 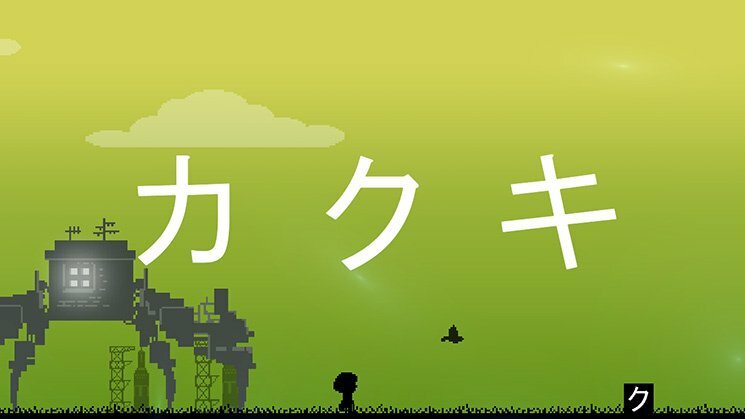 Combining fun, simple rhythm gameplay with catchy chiptunes and character-learning, Hiragana Pixel Party is both a great way to get started reading Japanese and an enjoyable game in its own right. First up: a bit of background. Japanese is written primarily using three systems: hiragana (ひらがな), katakana (カタカナ), and kanji (漢字), all of which are ultimately derived from Chinese characters. ‘Nintendo’, for instance, could be written in hiragana as にんてんどう, in katakana as ニンテンドー, and in kanji as 任天堂. While kanji are logographic characters — meaning you generally need to already be familiar with a certain kanji to know how it’s pronounced — hiragana and katakana are syllabaries, which means you can read them phonetically, much like an alphabet. Just as in an alphabet, each symbol in hiragana or katakana represents a certain sound. But instead of a single consonant or vowel, each hiragana or katakana symbol represents a particular mora, a linguistic unit similar to a syllable. The Japanese word for cat, ‘neko’, for example, is written in hiragana as ねこ (ね ‘ne’ + こ ‘ko’). The same word in katakana is written as ネコ (ネ ‘ne’ + コ ‘ko’). Hiragana and katakana each consist of around 45 symbols, and while that sounds like a high number if you’re used to a 20-odd-character alphabet, since you don’t have to worry about combinations and irregularities (think of the 'gh' in English 'cough' vs. 'gherkin'!) 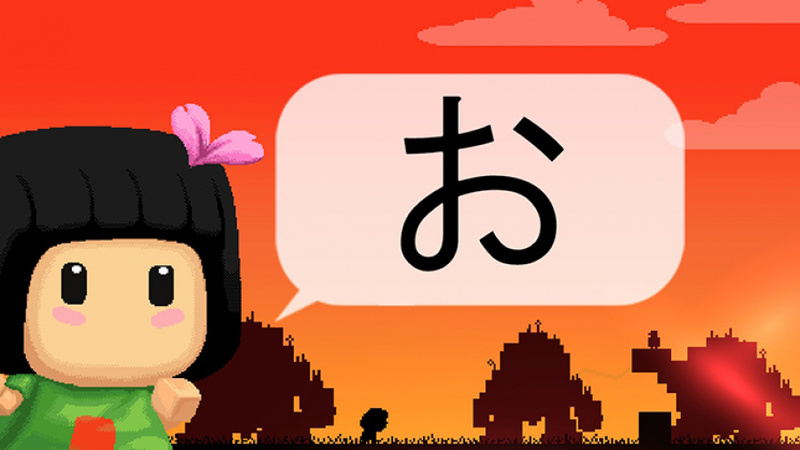 they’re actually much easier to learn quickly — and that’s exactly what Hiragana Pixel Party sets out to help you do. 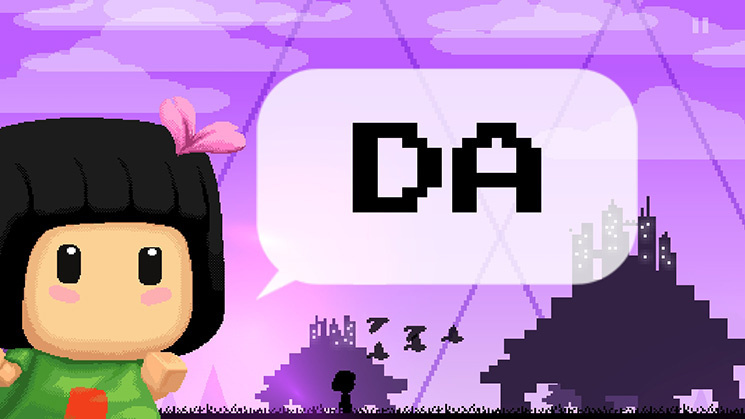 Hiragana Pixel Party is a rhythm-based runner that uses these Japanese symbols as button-prompts over several hundred individual levels (or lessons) split over two distinct paths: hiragana and katakana. 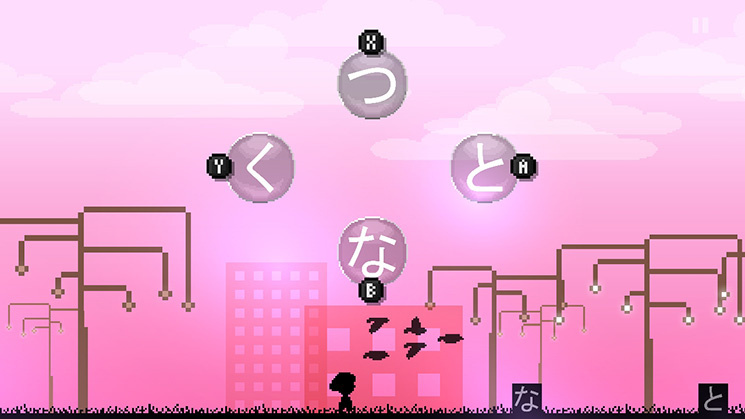 You can choose either syllabary to start with, and bounce back and forth between the two, but the gameplay remains the same in both: in each discrete, thirty-second-or-so stage, you’ll control a girl who runs steadily to the right in-time to chiptune soundtrack, and need to press the correct face button (or touchscreen version of the same) to jump over boxes as they come up on the beat. The kicker is in how you’ll know which face button to use, and that comes down to repeating a pattern of either hiragana or katakana. These patterns are delivered PaRappa-style; you’ll first see the girl run through a riff for one bar of music, and then have to copy it yourself in the next measure. The cues can be either visual, audio, or a combination of the two, and can involve up to four symbols, each of which are mapped to a face button in an on-screen diagram. You might see and hear a pattern of ‘ne ne ko ko’, for example, and noting that ‘ne’ is assigned to the ‘B’ button and ‘ko’ to the ‘A’ button, tap out ‘B B A A’ when your turn comes around. The rhythm side of the gameplay is fun and forgiving, with relatively lenient timing on both sides of the beat, which lets Pixel Party focus on its main goal of teaching you how to read. Each level concentrates on a few characters at a time, and the game introduces new ones carefully and slowly. The first time you see a symbol, it will usually be the only one in that verse: you’ll hear ’ko’, see ’こ’, and learn to associate the two by repeated on-beat button presses. In later verses or levels, these cues are switched up: you might see ‘ko’ (written in the Roman alphabet) and have to pick out ‘こ’ from among a few other familiar hiragana symbols, hear ‘ko’ without any visual and have to do the same, or see ‘こ’ with no associated sound and have to press the button marked with ‘ko’, as opposed to ‘ka’ or ‘ke’. By varying your cues between these several different mission types, Pixel Party does an excellent job scaffolding your learning, ensuring you get plenty of repetition and practice at matching sound and symbol in different ways. It also smartly peppers in characters you’ve yet to learn as red herring choices, ensuring you’ll have at least a passing familiarity with new symbols even before you’ve learned their sounds. The game’s structure of short, focused levels also fits in very well with its educational aspirations; working through a few a day is a great way to get the continuous practise that really helps with language learning, and each stage is quick enough that knocking out two or three is easy on even the briefest of morning commutes. Our only real complaint with this pacing is that it feels restrictively linear; you’ll unlock new levels in groups of three at a time, by scoring well in the prior group of three, so it’s a bit of a slow grind working your way through the lot. Again, the approach works well for language learning, but we would have appreciated more flexibility in choosing what to tackle when. Similarly, Pixel Party’s overall structure sees it working its way down the hiragana or katakana chart in a relatively linear fashion by consonant group, and while that certainly works, we would have loved to see levels based around themed groupings as well. Who wouldn’t want to challenge a lightning round with the four horsemen of the katakana apocalypse, ツ (‘tsu’), シ (‘shi’), ソ (‘so’), and ン (’n’)? Still, these are minor quibbles, and Hiragana Pixel Party is absolutely an effective learning tool. Stick with it, and you’ll learn how to read hiragana, katakana, or both. Just as important, however, is that it’s also genuinely fun to play. The rhythm base is simple but addictive fun, and it’s gamified in a way that’s enjoyable even if you already happen to know hiragana: the specific face-button mapping changes not just in each level but also with each verse, so being able to register the cues in time while also reaching for the right buttons can be a satisfying challenge in and of itself. The soundtrack helps elevates all that button pressing to joyous musical purpose, too; it’s Anamanaguchi-style chiptune synths accompanied by noise channel percussion and acoustic guitar, flitting comfortably between rousing footstompers and calmer, more introspective tunes. And while there’s not a unique track for each level — at almost 400 it would be quite a feat! — there’s enough musical variety that we only ever noticed repetition in extended play sessions. This is also a surprisingly good-looking little pixel party; it uses a simple, retro-inspired graphical style, but adds in a generous helping of colour and dramatic lighting effects to create an appealingly oversaturated aesthetic. The backgrounds are also thematically intriguing and diverse, jumping from giant robots and abandoned urbanity to green grass, butterflies, and titanic turtles acting as walking biospheres. Hiragana Pixel Party is a great time, and a great way to learn to read hiragana or katakana; if you’re planning on learning Japanese, it makes for a perfect head-start. It won’t teach you any of the actual language, but you’ll be able to hit the ground running in hiragana the moment you crack open your textbook or attend your first class, rather than having to spend the first few lessons struggling with the symbols. We’d argue, however, that there’s real merit to learning these syllabaries even if you aren’t actually planning on learning Japanese. 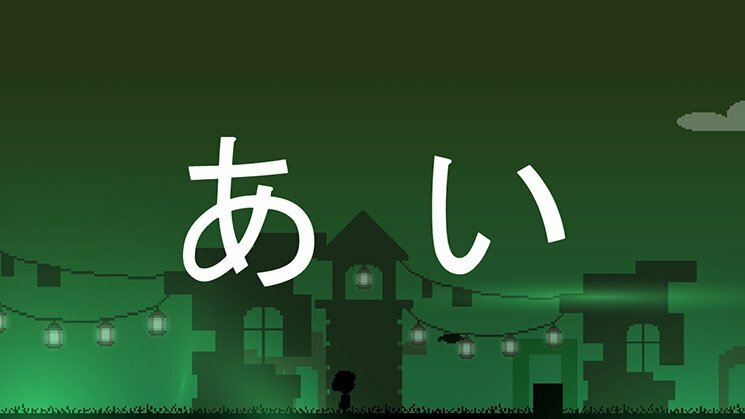 If you’re an import gamer, for instance — or if you aspire to be one — learning hiragana and katakana will change your life. Especially in retro titles, so much of Japanese game menus is made up of either direct loans from English (i.e. ロード/セーブ ’rōdo/sēbu’ — ‘load/save’) or a relatively stable set of terms (like ふたり ‘futari’ — ‘two-player’), and being able to sound out these words will make a treasure trove of incredible games instantly more accessible. Likewise, if you’re planning a visit to Japan, learning at least katakana (the syllabary used for most foreign loanwords) will open up a world of sign-reading; you’d be amazed how much is interpretable with English fluency and basic katakana literacy. 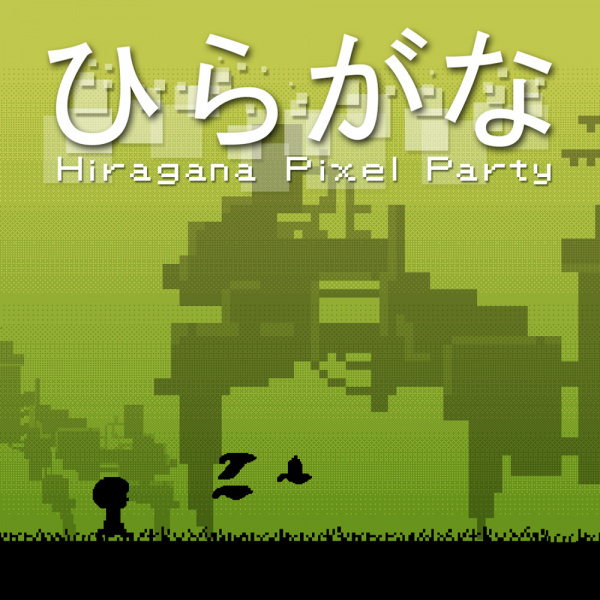 Hiragana Pixel Party is a welcome rarity: an educational game that’s both good fun and an effective learning tool. If you’ve ever wanted to read Japanese — whether for language study, travel, or playing import games — this is a great way to get started, and an enjoyable rhythm-based runner with an excellent chiptune soundtrack besides. がんばって! Already learned these in college, but a brush-up wouldn't hurt. Might have to get this. Already learned Katakana and Hiragana, but when MHXX came out I quit studying (since my entire purpose of learning was for that single game). I was learning vocabulary after that, and basic sentence structure. Man I really need to get back into studying but there's only so much time. Hiragana & Katakana = Easy Peasy. Kanji ? Ouch... different story. Do either of you know of any games or decent, fun edutainment titles that teach basic sentence structure for Japanese?I've already taught myself Hiragana, will do Katakana soon. I bought Influent from Steam some time ago to learn some basic vocabulary. I love rhythm games and platformers and I'm considering learning Japanese, so I'll definitely put this on my wishlist! This'll be a nice way of polishing up my hiragana and properly learning katakana. I have a question for those of you familiar with Japanese: will this game help me learn how to read the text in Japanese video games? @Anti-Matter How many かんじ do you know? @JayJ Knowing just ひらがな characters isn't enough to understand Japanese text. It's like you hope to understand English text by just learning the English alphabet. Also, ひらがな is just one of the three main sets of characters used in Japanese. @JayJ Katakana will help you because that is the syllabary for loan words, which are frequently English words (for example, save and load up above). @EVIL-C : I got my headstart via My Japanese Coach for the original DS. I wish Ubisoft would port them to contemporary hardware (I believe the "My Coach" series was briefly released for iOS devices, but were heavily criticised for being broken and buggy, so they were promptly removed from the App Store instead of being patched). Maybe around around 50 different letters, such as numbers, colors, Days name, Fruits name, Elemental, 4 Directions, some Sports name, etc. My knowledge about Kanji was built from Chinese lesson when i was kids. Used to be interested with Chinese letters, but not anymore. Instead, i prefer to read that Chinese letters in Japanese as Kanji, not as Chinese. I don't like Chinese pronounce with 4 different sounds, seems too complicated and for myself, Chinese language is Not Flexible with other Foreign language, not cool for me. Beside, when i compare China and Japan, China = Boredom place, Counterfeit, Disaster Trend taste, etc. Japan = Role Model, Creative, Innovative, Must Buy products, etc. Well... it's ironic to myself as a half Indonesian-Chinese people that not interested with Chinese language and cultures, instead adore Japanese so much. But, i choose what is worthy for me. Even Japanese language is still important language as Chinese language. I'm not scared with intimidation from peoples around me that try to discourage my interest about Japanese language. Some of my family relatives especially the elders seems dislike with Japan due to Japan's history during World War 2. I love that there are games like this out there that stretch the variety of software on the console. Good review, @zipmon! Thanks for the review! it makes me feel all nice and satisfied!!! As to some of the points in the comments, Just like the review says, if you learn katakana, you really can feel pretty awesome in Japan, a surprisingly high volume of words you run into on the streets are foreign words. Also, we are releasing an update, with another song, a cheat to unlock all the levels, and some adjustments to difficulty. Japanese might have seemed like an attractive second language, if the second, third, fourth and fifth hadn't already been taken. The entire game's multiple choice, right? Surely there's better ways to learn than picking 1 right answer from a batch of 4? Thanks for the review, I will be picking it up. I didn't know they were on IOS for awhile. That's very sad they pulled them down. With all the people interested in Japan in Western countries, you'd think someone would try releasing a decent game or two as a fun way to learn some practical Japanese by now.